Femtosecond-laser inscription in glass: low-loss single mode waveguides and precision alignment features. Aerosol-Jet printed interconnects for 60-Gb/s CMOS driver and microring modulator transmitter assembly. 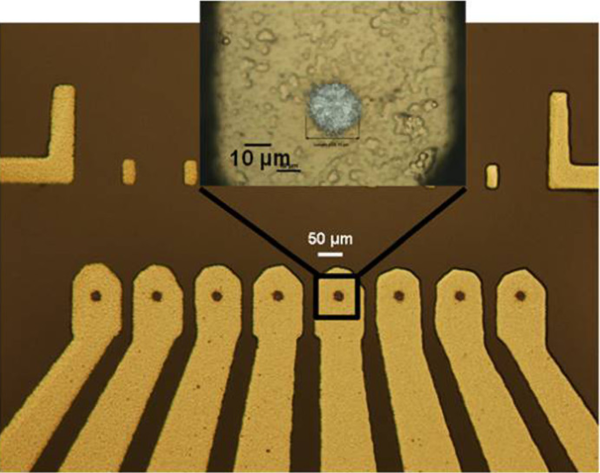 Aerosol-jet printed interconnects for 2.5 D electronic and photonic integration. 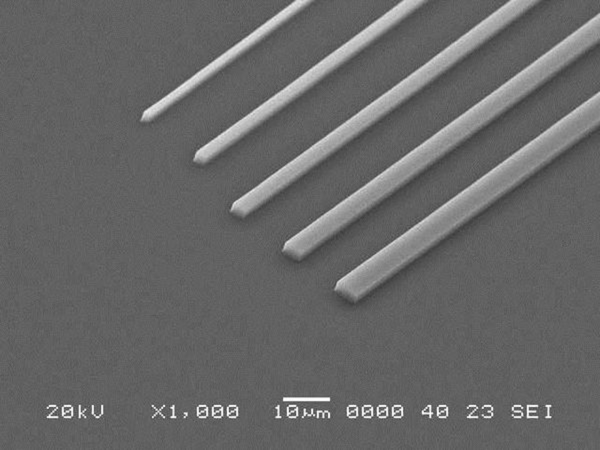 Single-mode polymer optical waveguides (down to 1x1 μm2) on large-area substrates using laser-direct write technology or imprinting. 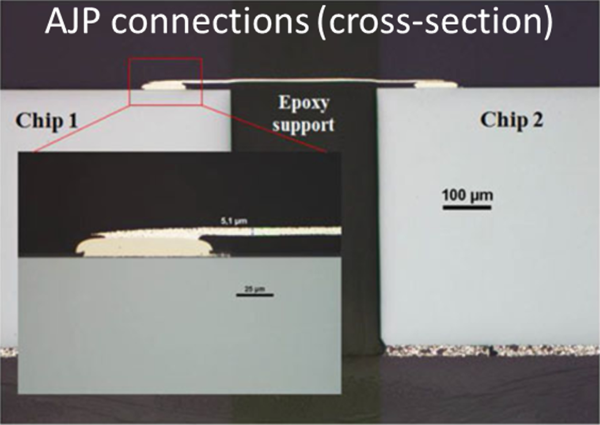 Embedding of VCSEL and photodiode chips in ultra-thin polymer packages. 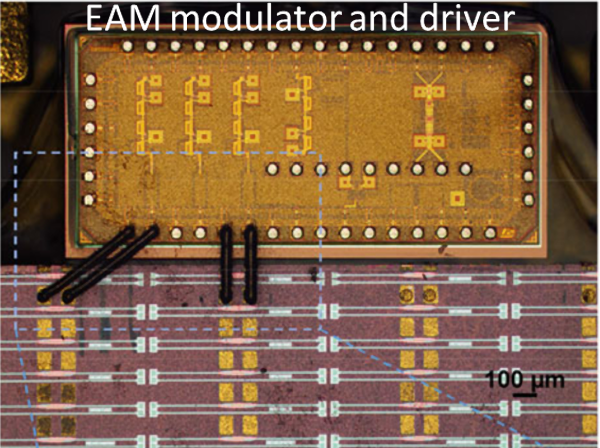 Stretchable optical interconnect demonstrator including embedded VCSELs and photodiodes integrated with PDMS multimode waveguides. 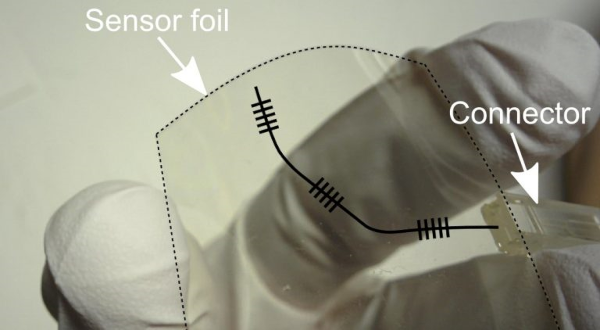 Bragg-Grating-Based Photonic Strain and Temperature Sensor Foils Realized Using Imprinting and Operating at Very Near Infrared Wavelengths. 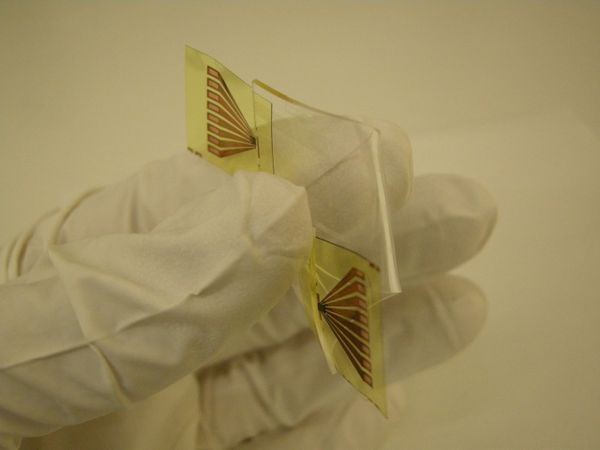 Thin and Flexible Polymer Photonic Sensor Foils for Monitoring Composite Structures. Gratings imprinted on foil (e.g. for sensing). 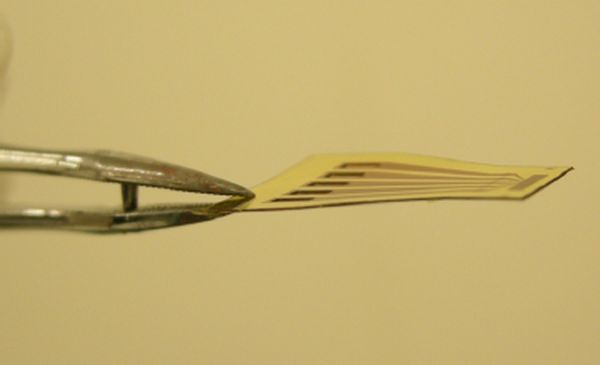 GMR Publication: An imprinted polymer-based guided mode resonance grating sensor. Flip-chip bonding of vertical-cavity surface-emitting lasers using laser-induced forward transfer. 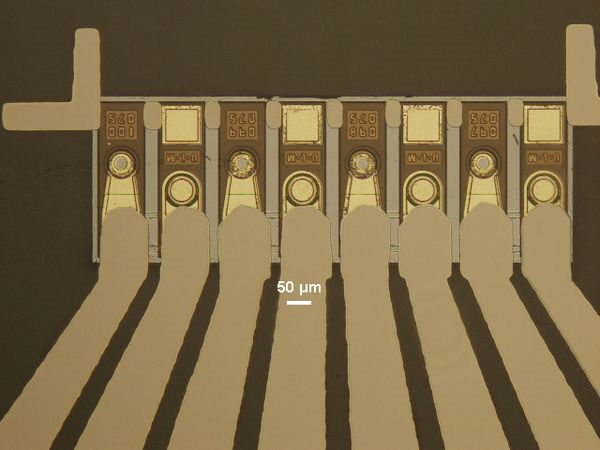 Flip-chip assembly of VCSELs to silicon grating couplers via laser fabricated SU8 prisms.